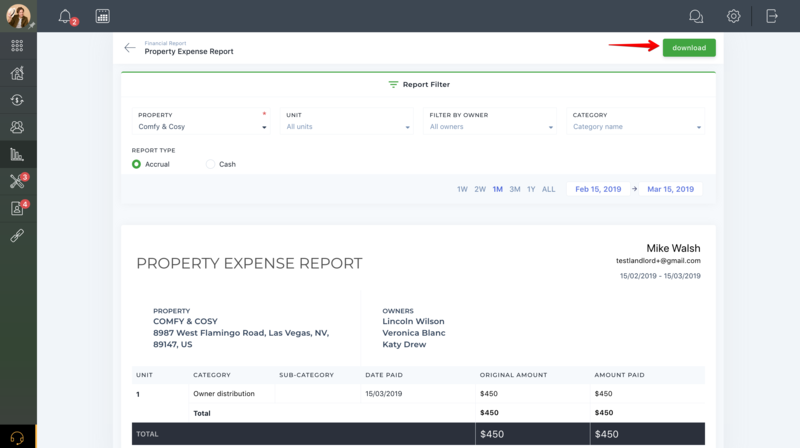 This report provides the expenses based on the property or a specific unit. It is available for accrual type accounting only. The report shows all paid expense invoices for all properties and units excluding liabilities (deposit, prepaid rent, pet deposit, etc.). This report can be searched based on owner.